Liberal Bohemian: February 14th in a second. 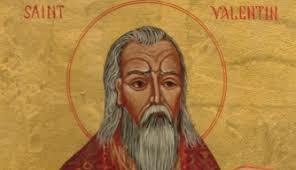 Valentine's Day, the Feast of Saint Valentine, patron saint of lovers. According to legend, a bishop named Valentine conducted weddings for Roman soldiers against an order of Claudius II, who had forbidden them to marry. After being condemned to death, Valentine cured the judge's daughter of blindness and then sent her a letter signed "your Valentine." 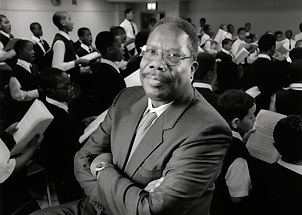 Speaking of healing, on this day in 1967, Dr Walter Turnbull who had began a small boys choir at Harlem's Ephesus Church while teaching at the New York City schools, led his kids to their first choir. "Music is very magical, able to transform children with no more than lint in their pockets and honey in their throats into grand performers on the world stage, " he said, he did, he did. In Camelot on this day, first lady Jacqueline Kennedy hosts the first televised tour of the White House. 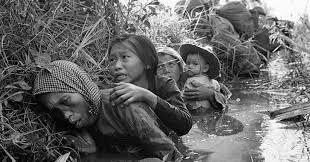 On this same day, President John F. Kennedy authorizes American troops in Vietnam to return fire. In the late afternoon of Feb. 14, 1968 - Valentine's Day - Lindell glanced at his squad leader, Corporal Dennis Fleming. They shouted a warning to each other and dug their fingers into the ground, hoping for the impossible, trying to somehow burrow themselves out of harm's way. The explosion sucked the air from Lindell's lungs, and the intense wave of searing heat that accompanied the bursting mortar round made those oppressively humid Midwestern summers that always enveloped his hometown of Wautoma, Wis., seem like an ocean breeze. 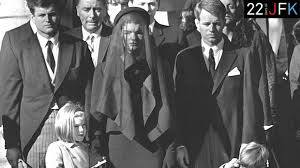 "It felt like I got smashed in the chest with a sledge hammer," Lindell recalled, 40 years later. "I couldn't catch my breath. I was numb all over. I couldn't move. I just flopped around, like a fish out of water. My ears were ringing." Happy V Day People, try to keep your sticks on the ice.